The Fulton County Public Library has a commitment as a community resource for the informational, cultural, educational, and civic needs of our community, and as such invites any group of community citizens whose purpose for meeting is in harmony with the cultural and intellectual purposes of the Library to meet in the Library in rooms designated for this use, such as birthday parties, showers or a gathering of friends or colleagues. These groups must be based within Fulton County and be bona-fide non-profit, non-religious, and non-partisan in nature. The use of the Library meeting rooms by any citizen or group does not signify or imply any endorsement by the Library of the citizens or group’s opinions or activities. Any publicity related to a non-library meeting should not imply that it is library sponsored. All non-library meeting room publicity will be the responsibility of the meeting group and the information may not be posted in the library. The position of the library is always one of neutrality. 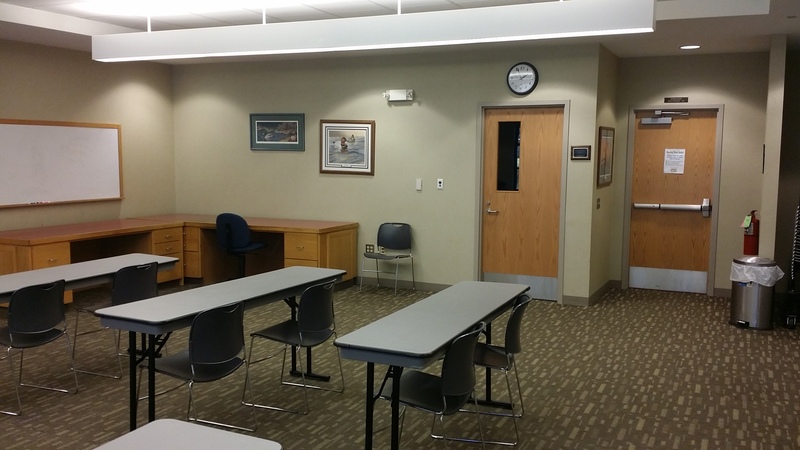 Library meeting rooms may only be used when the library is open. All meetings must end and disperse BY closing time. Failure to comply may result in loss of meeting room privileges. 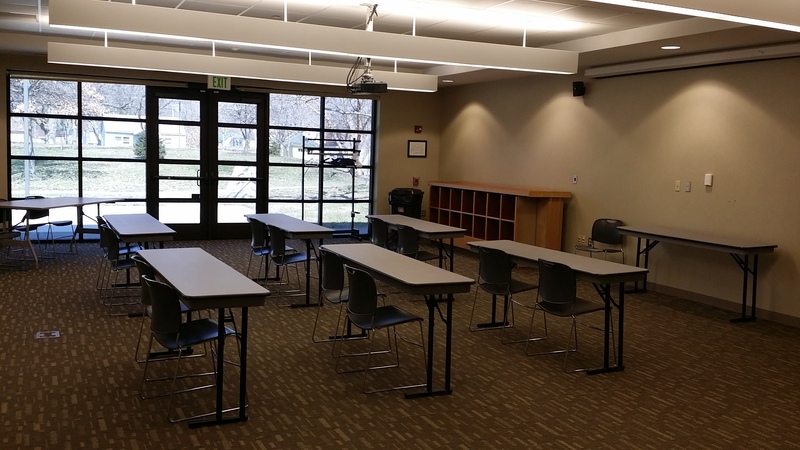 Space is available no earlier than 10:00 A.M. on days when the library is open, no Sunday or Holiday meetings. Meetings must conclude no later than closing time on that particular day. No programs will be held after hours unless it is a library sponsored program. NO event may be held which interferes with normal operations of the library. Library related meetings or programs. Non-library groups will be viewed as equitably as possible for scheduling purposes. 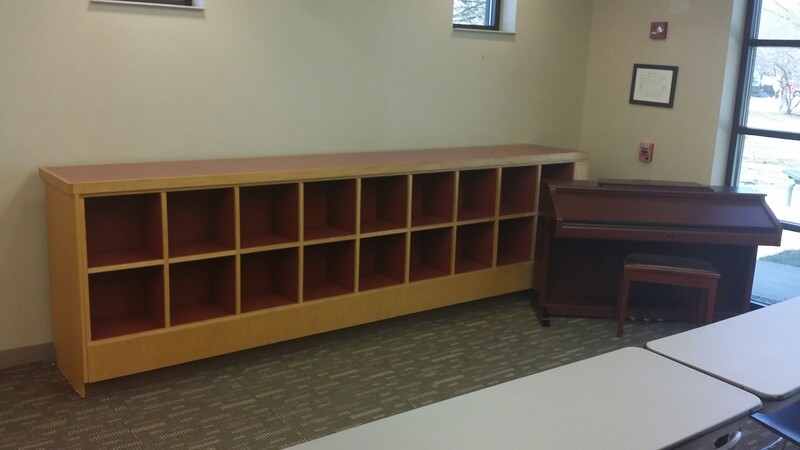 Library sponsored functions have priority for space. No general admittance fee may be charged for any meeting or program in the meeting rooms nor may any voluntary offering, solicitation, or collection of funds be made. However, qualified groups (non-commercial, non-profit, civic or educational) may charge participants a fee to cover the costs (such items as printed reading materials or supplies used at a workshop or a meeting) or an educational program. 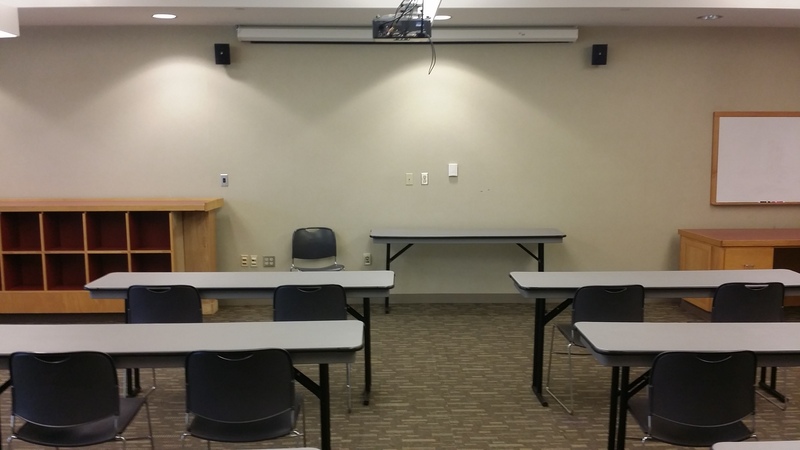 All civic, community, or educational organizations whose purpose is non-commercial, non-partisan, and /or non-profit may use the meeting rooms with no fee. 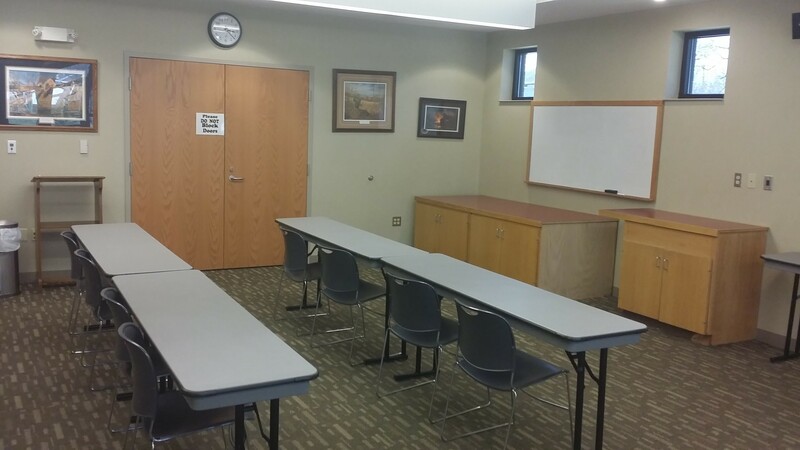 Political groups may use the meeting rooms for non-partisan or bi-partisan programs of an educational nature. We will allow personal parties only if the space is not being used, but library programs, cultural and educational programs have first priority. Petitions and/or remonstrances are never permitted anywhere in the library or on library property. The number of people attending must be reported for statistical purposes. Light refreshments and non-alcoholic beverages; may be served in all of the meeting rooms. Any equipment or food brought in should be promptly removed after the meeting. The equipment provided by the library may be used but must be left clean. Open flames (candles, matches, etc,) are never permitted in the meeting rooms. Alcoholic beverages are not permitted at any time and smoking is prohibited in all areas of the public library. Children should never be left unsupervised at any time. organization may be asked not to come back. 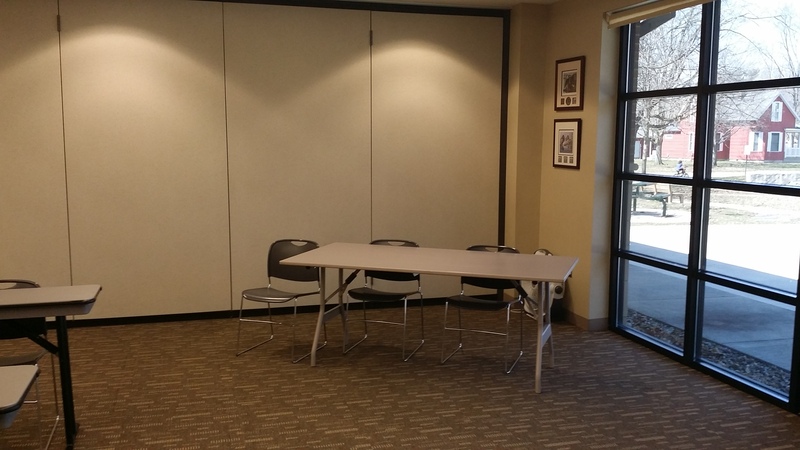 For-profit groups or persons may use the meeting rooms for a fee per hour per room. 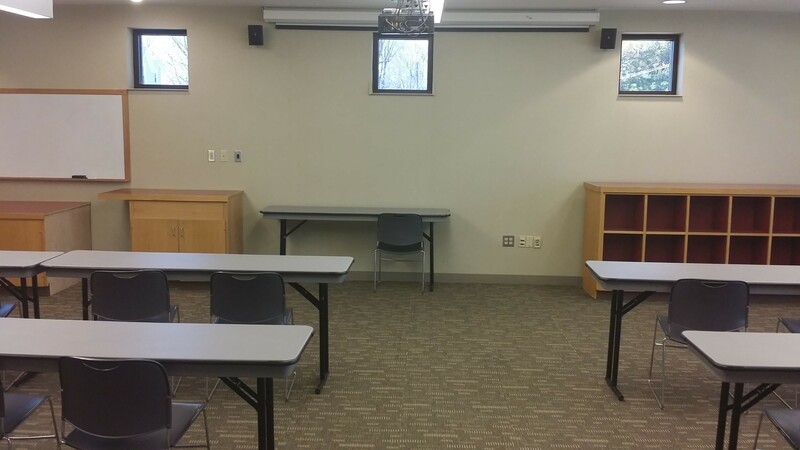 The fee must be paid at least 1 week prior to the meeting date or the library reserves the option of making the room available for other meetings. These fees are non-refundable unless you let us know one week prior to the meeting. After 1 offense: The party that booked the room will receive a written notice. In an effort to be fair to all groups, future scheduled meetings will be cancelled. The person that booked the room will receive a notice that this action has been taken. If the group desires to reschedule meetings after they have been cancelled due to offenses, the group will be required to submit new reservations and may be denied if rooms are no longer available. Each group is responsible for setting up the room to its specifications. Each group is also responsible for restoring the room to its original setup when the meeting is over. Current custodial fees may be charged if the rooms are not cleaned up and restored to the original setup for the next group. The use of the meeting rooms must be confined to the activity for which the facilities were requested. Floor, furniture, equipment and other property must be properly cared for and returned to a clean and orderly condition following use. Tables must be cleaned off and floor vacuumed if needed. Upon leaving the building, meeting room(s) must be securely locked. The Board of the Library Trustees, or their designee (the Library Director, or appointed staff member reserves the right to terminate any meeting that is noisy, disruptive, or potentially destructive to the library’s property or who violates these rules and regulations or for any other reasonable reason, including when a use is determined not in the public interest. All state fire and health laws shall be observed. Applications for space use must be made on the library forms provided. They must be submitted in advance of the meeting date by an adult (age 21 or older), who shall be personally responsible for the conduct of the meeting, adherence to these regulations, the payment of any fees, and for any damages. For profit groups or persons may use the Meeting Room A and Meeting Room B that has the kitchenette attached for a fee per room per hour. 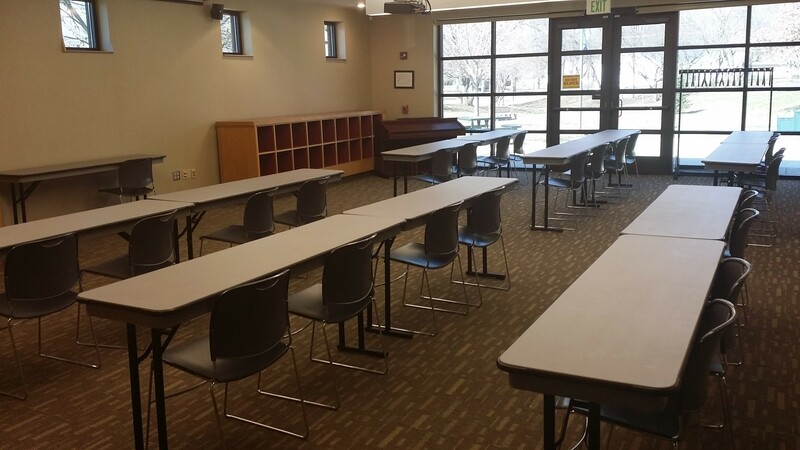 The rental fee must be paid at least 1 week prior to the meeting date or the library reserves the option of making the room available for other meetings. The rental fee per room is $10/per hour/per room. Example: 3 hours of use in one room, would be $30, if you are using both rooms the cost would be $60. 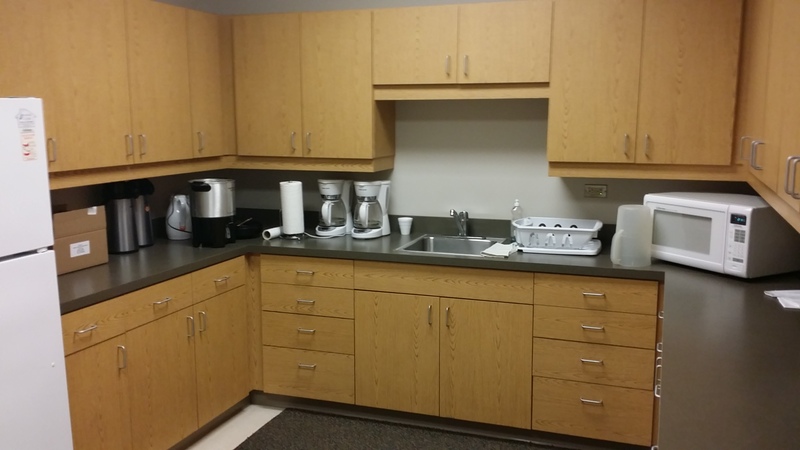 If you use the kitchenette, the cost would be $45 for one room and $90 for both rooms. This fee is non-refundable unless you provide the week’s notice or if the library would be closed due to circumstances beyond our control. Meeting Room A has a capacity of 72 people. Meeting Room B has a capacity of 72 people. Use of the kitchenette is $5/hour. A release must be signed by an individual, not as a group or organization. Any inquiries concerning meetings in question, as well as inquiries by the public, may be referred to the person signing the application.